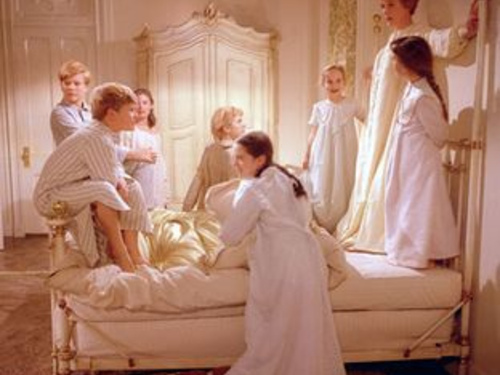 The Sound of Music was shot in 1965 on locations in and around Salzburg. The musical film was a huge success, especially in English-speaking countries. While in the US or Britain almost everyone knows the lyrics of ‘Edelweiss’ by heart, in Austria, and even in Salzburg, there are still people who have never seen the film. Still, a tour to the original locations of this movie classic is an absolute must for everyone. The list of locations reads like the top-five of Salzburg’s most famous sights: the Mirabell Gardens and Mirabell Palace, the Residence and the Residence Square and of course the convent at the Nonnberg. If you want to relive the story of Maria and Lord von Trapp, you have a number of options: if you prefer a guided tour to visiting the locations individually, you can take the 4 hour ‘The Sound of Music’ bus tour. Later you can listen to the film’s famous melodies at The ‘Sound of Salzburg’ dinner show. True fans of The Sound of Music do not only love the film, they also want to experience the unique charm of Austrian joie de vivre. Enjoy the atmosphere of our beautiful city and spend a few days at the Hotel zur Post or Villa Ceconi, where modern comforts meet historic ambiance. Book now online or call us.